Another day, another slight change to my categories… for anyone who hasn’t read my blog I write about issues that are raw and real life and at the moment and ongoing these tend to focus on my struggles with depression and my weight. I’ve spent a lot of time trying to come up with categories and a blog that is easy to navigate and follow and because of this I’ve decided to place anything relating to depression, anxiety, mental health, chronic illness, and my weight loss struggles and journey under a new heading – health and happiness. Short of being the most boring post I think I’ve ever written I just wanted to use this is an update too – as I’ve been absent for a little while due to issues. This time last year(October 2016) I was placed in a chemical menopause due to adhesions and complications following the birth of the small person in 2014. For four months life was pretty good – I was healthy and happy and I was even able to reduce my thyroid medication for the first time in forever. And then in January 2017 I attended an appointment which turned into a mass fat-shaming courtesy of my local NHS trust and I was told I would be denied treatment until my weight came down. 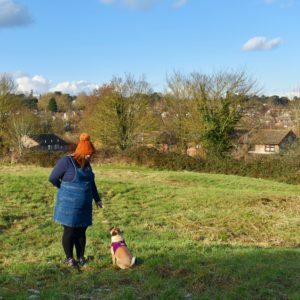 This and a combination of work stress triggered possibly the worst depressive episode I’ve ever had – I ended up on and off tablets for months and to be honest things were a bit of a blur. Finally as of three weeks ago I’m no longer taking any medication apart from my thyroid medication and I’m feeling pretty good – I’ve rejoined Slimming World, I’m 9lbs lighter and although I’m hugely lacking in energy, I’m feeling good. Randomly I’ve discovered I’m allergic/intolerant to onions which was giving me crippling migraines and since stopping them I’ve felt better still. Random. So that’s the last few months in a nutshell – I will elaborate more once I’m all caught up – thank you to every person who has sent me messages and left me comments on here and across social media; you’ve helped me so much, I can’t thank you enough.